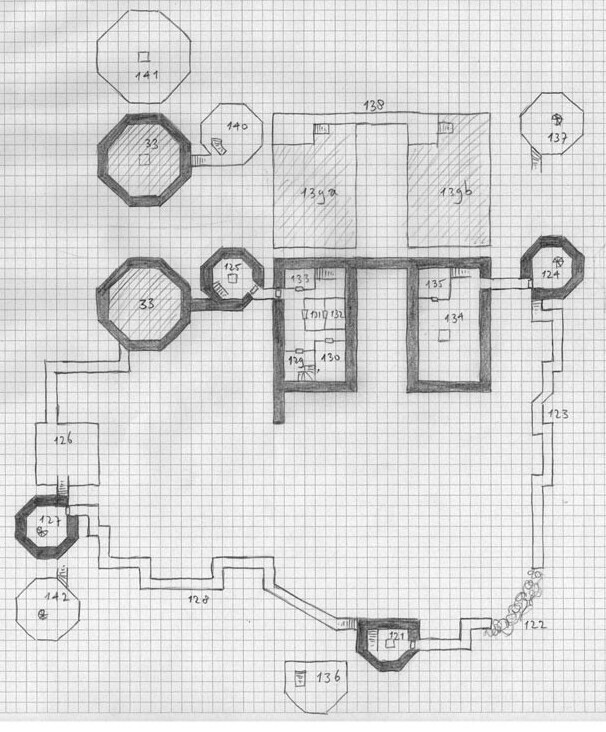 I started work on my mega-dungeon “Castle Verge” about 2 years ago, when I was completely bored by the 4th edition campaign I was running at the time. Inspired by James Maliszewski’s megadungeon.net, Castle Verge was built by a mystical order of knights in a place where Chaos leaks into the world. The order was betrayed from within by a knight secretly working for an insane chaos mage, who wanted to use the dungeons beneath the castle for his own purposes. 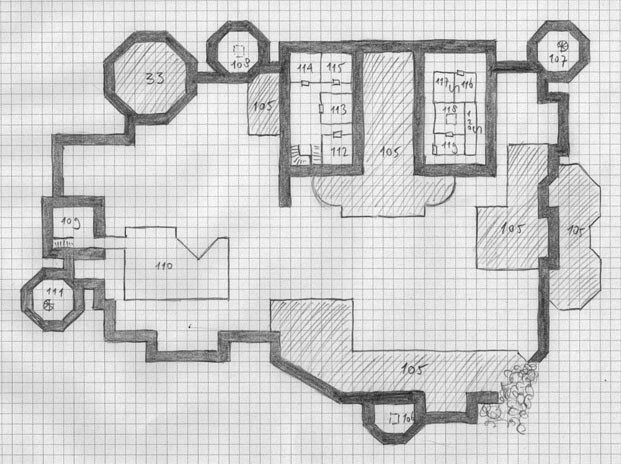 Originally, I planned to place an abandoned dwarven kingdom beneath the castle, but right now I’m revising it for use in a world without dwarves. 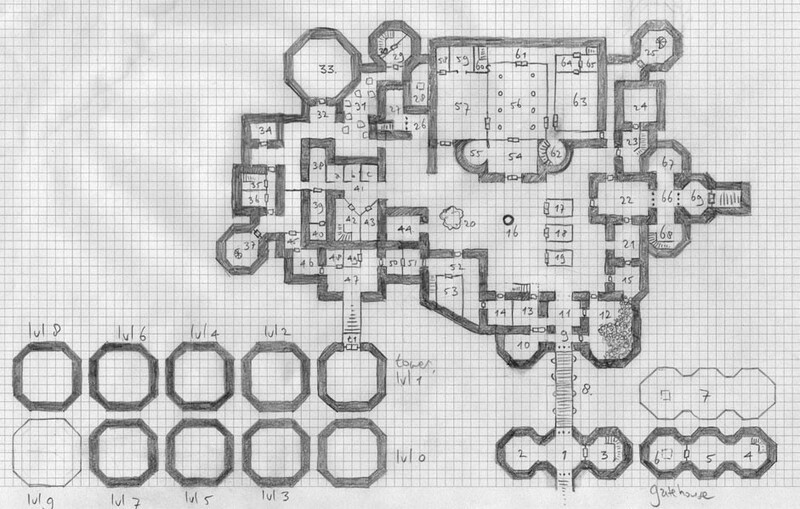 Luckily, I was able to reuse parts of already completed maps in my new map of dungeon level 1. The Castle: The castle itself consists of 4 levels. Often the above-ground levels of a mega-dungeon are smaller or less detailed than the underground dungeon levels, but I wanted to make the castle itself worthy of exploration, to give low level character more options. The southwest tower will be a sublevel for higher level characters, but I’m not sure what to put there yet. 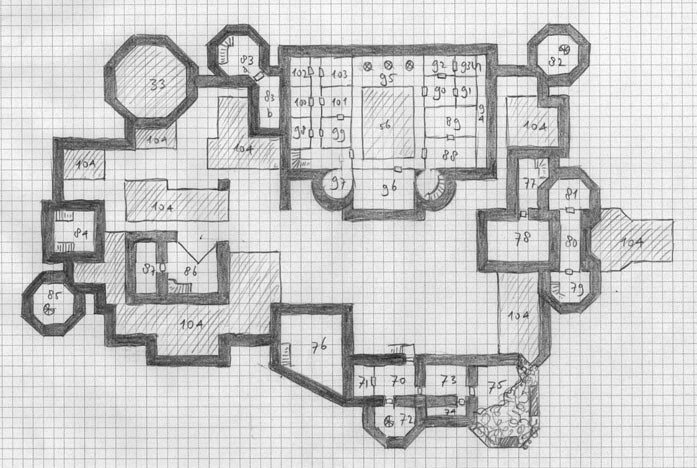 The castle levels are occupied by a tribe of ratlings (re-flavored kobolds) working for a death knight, the undead form of the same knight that betrayed the knightly order.